Choosing the right university is one of the biggest decisions you will ever make. At Roehampton, we offer a first-class educational experience, designed to help you reach your full potential and get the career you want. Once you join us, you become part of a welcoming community with students from across the world and from all types of backgrounds, taught by staff engaged in world-leading research. You’ll join a university with a 175-year history in providing higher education. We offer a personalised academic experience and will help you become a successful graduate that employers value: a confident, critical thinker, able to adapt to a changing world, and with an ongoing passion for your subject. Our academic teaching staff work at the cutting edge of their subjects, which means their teaching is based on the very latest knowledge. Unlike many other universities, all of our students are taught by research-active academic staff from their first year of study, which means you will study with staff working at the cutting-edge of their subjects. Our size means that you'll get to know your lecturers and fellow students, giving you a more personal learning experience. Career skills are central to every one of our academic courses, so no matter what you study, we'll help give you the skills you'll need for the job market. We also offer a Career Mentoring Scheme, which will match you with a Roehampton graduate or friend of the University to help you to succeed. We know it works, as the latest national figures show that 93% of our graduates are in employment or further study within six months of graduation - one of the best rates in London (DLHE, 2016 results). We have the only parkland campus in a central London borough. Our beautiful campus provides a close-knit community feel. We have modern, cutting edge facilities and a vibrant social scene. Best of all, we are in the heart of south-west London, close to Putney and Hammersmith and within easy reach of central London. Studying with us will give you the best of both worlds: the community feel of a traditional university campus, with the culture and nightlife of one of the greatest cities in the world. 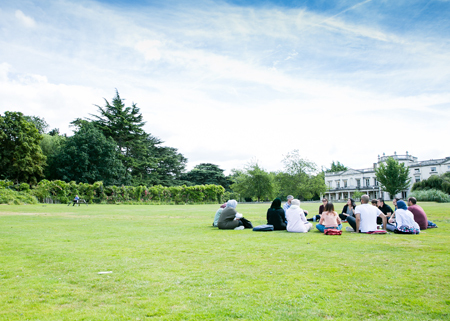 Roehampton has an excellent research profile, with some of the most highly-regarded academic departments in the UK. Two-thirds of our research has been officially judged either 'world leading' or 'internationally excellent' and we are ranked as the most research-intensive modern university in the country. As a student, whether you study at undergraduate or postgraduate level, you'll benefit from studying with staff who are working at the very highest level. At Roehampton, your voice can shape your experience with us. 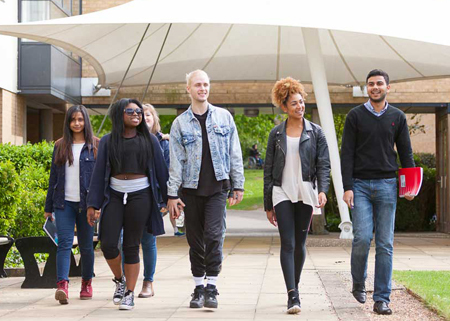 Our Student Partnership offers you a say in how we run the University. We also provide a wide range of opportunities for you to get involved, through volunteering, playing sport, or joining one of our many active student societies. In the 2015 National Student Survey, satisfaction with our Students' Union was the second highest in London.